Mossley.net - This website has an accesskeys system. Details on Access page. 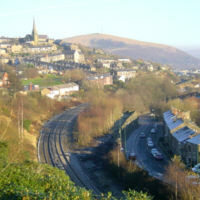 The small Pennine town of Mossley lies just over the hill from Ashton under Lyne. The character of the town, with its steep streets and stone houses, is very different from that of its neighbour. 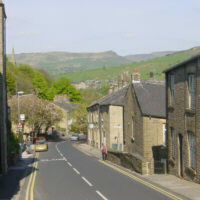 At one time split between Lancashire, Cheshire and Yorkshire, Mossley is now within the borough of Tameside. These pages are intended to show something of the character of the town of Mossley.